Budapest is well known for its numerous medicinal baths, which constitute one of its main tourist attractions. Some of the thermal springs were already being used as early as the 2nd century by the Romans. A number of the medicinal baths built along the bank of the Danube by the Turks – the Király, Rudas, Veli Bej and Rác Baths – are still being used today. Budapest was officially declared an International Spa in 1934. The thermal springs, the temperatures of which vary between 21°C and 78°C, yield up to 70 mega-litres of water per day. The dissolved salts and minerals present in these waters, derived from 118 different sources (either natural springs or bores), render them suitable for treating a diversity of illnesses – ranging from circulatory problems to joint and muscle damage, and menstrual pain. Besides bathing, most of the baths in Budapest provide facilities for therapeutic massages, physiotherapy exercises and mud-pack treatments. In the vicinity of the baths, one can find wells and arrays of drinking-water fountains, providing spring-water rich in minerals. It was as a result of the drillings over the period 1868-77, that this medicinal water source, with a temperature of 74˚ C, was brought to the surface. The medicinal waters at Széchenyi Baths are particularly effective for the treatment of joint and muscle damage, arthritis and neuritis. The 13 mineral springs supplying the Gellért Baths with water at a temperature varying between 27°C and 48°C, is particularly effective in treating joint and muscle damage, metabolism related problems and neuritis. The steam-baths and the swimming pool date from the middle of the 20th century. A day-care hospital, with an extensive physiotherapy section, operates within Rudas Baths. 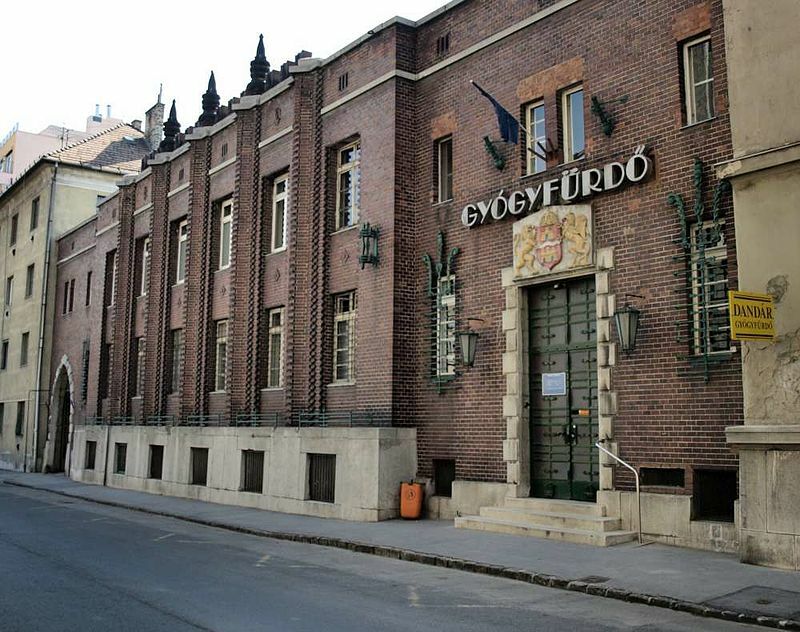 Király Baths are one of Budapest’s most important Turkish monuments. Its construction began in the middle of the 16th century. 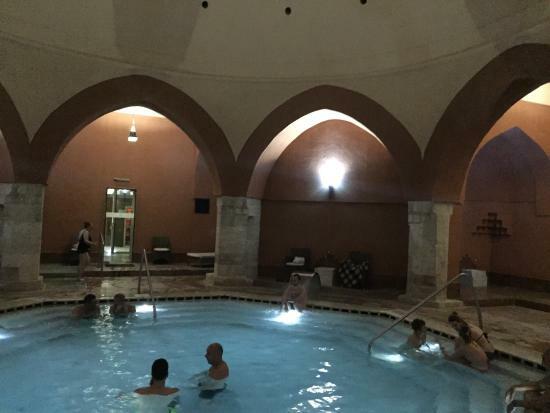 The dome covered pool has been functioning continuously as a baths. During the 19th century, Lukács Baths evolved into a medical-centre, with a hotel for the use of the patients, and a hospital building for treating rheumatics. Its medicinal waters are mainly effective in treating joint and muscle damage. Csillaghegy Open-Air Bath is the one of the oldest baths in the capital. It started operation as early as the second half of the 19th century.The open-air bath is built into the hillside in a terraced manner. Dagály Thermal Baths was first opened in 1948. Later, in 1956 it, among others, was expanded with a 50-m swimming pool. Its water base at that time was provided by a well bored in 1944, which finally secured the efficient use of the thermal waters found under the bed of the Danube. Originally, Dandár Baths operated as a sanitary bath. In 1978, however, following a thorough reconstruction, it was put in operation as a thermal bath. There are 5 pools in Pesterzsébet Salt Baths: 3 Healing pool, Wave-bath pool, Children’s pool. Its water mineral content: alcalic-chloridic mineral waters. Pesterzsébet Baths are currently under renovation.